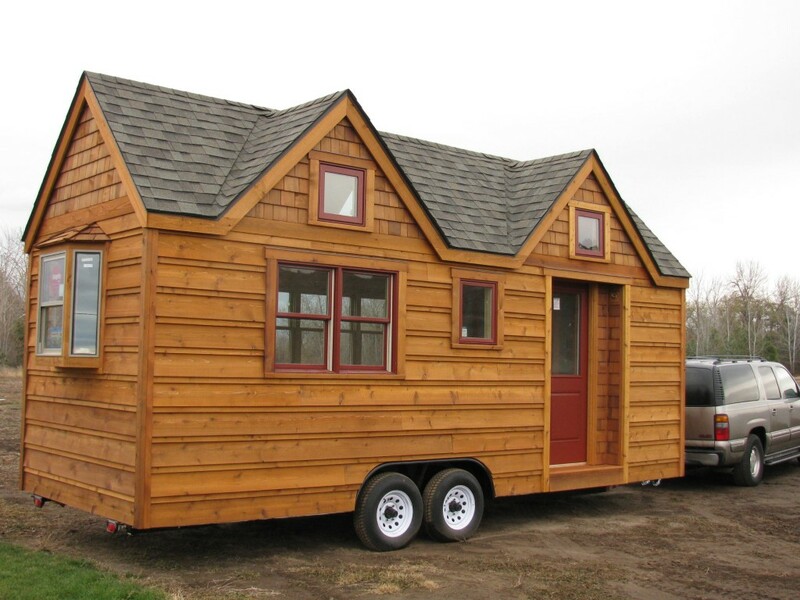 We’re pleased to feature a guest blog from our friends at Tiny House Society. Check out their work at www.tinysociety.co. Interested in moving into a tiny house? You’re not alone. Tiny houses are sweeping the nation with their charming looks and clever functionality. And speaking of functionality, it’s one of the things that tiny houses happen to do best. With a small space comes a need for purposeful designs and simplified spaces; and a loft space is a great example of just that. Let’s take a look at some useful loft ideas for your tiny home. 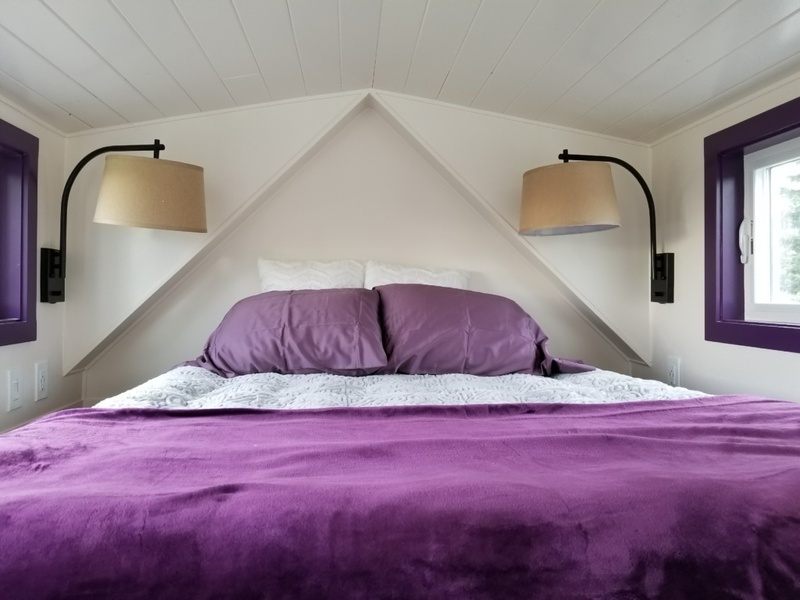 If you want to feel extra cozy on those chilly PNW nights, a bed that fills out the entire loft is the way to go. Think wall-to-wall mattress, blankets, and pillows! You’ll be able to scoot right out of bed in the mornings and right into bed in the evenings–what could be better than that? Nervous about falling over the edge? Safety railings aren’t just for toddlers! Add a decorative and functional railing to the edge of your loft space. You’ll enjoy your space much more. A loft space is the perfect place to watch the stars with the people you care about. A few windows or a skylight not only make a great viewing point–they also allow for a lovely breeze! The addition of windows also spreads more natural light throughout your tiny home, making it appear more spacious. Everyone needs a place to have some “me time,” and that includes the kids! A loft can be like a little treehouse in your tiny home. It’s a space where the kids can keep their toys, play board games, and even have sleepovers with their friends! Assuming your vertical clearance is high enough, a loft space works well as an extra living room or home office. If your tiny house is extra tiny, an additional place to read a book or watch a movie might be a welcome idea. For the digital nomads out there, a loft office is also handy for productivity as it keeps you away from everything else on the ground floor. Another aspect of having a loft is deciding how you want to access it. There are a number of options out there, and it’s up to you to decide which works best for your lifestyle! A rustic ladder (think vintage, rolling library ladder) can look aesthetically pleasing, but also take up minimal space. Metal rungs attached to the wall take up even less space and also look stylish in a tiny home. If climbing a ladder isn’t your cup of tea, then stairs can even be included in some tiny house plans. Add a few drawers or cupboards in the steps and you’ve got valuable, additional storage space! Feeling inspired? Hopefully these tiny house loft ideas have given you some excellent design ideas for your own home. 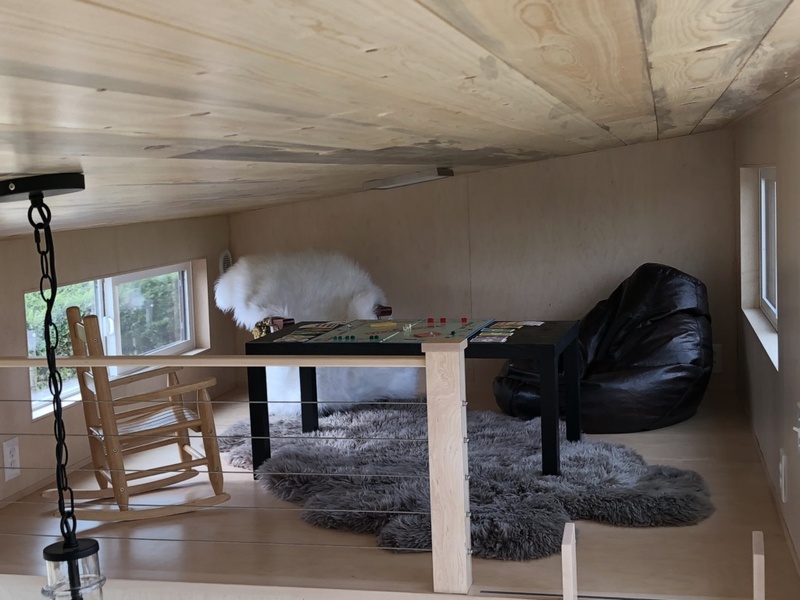 If you’re interested in designing your own tiny, a great way to do this is by first drawing out the floor plan yourself or by contracting a professional. That way, you’ll have a better understanding of exactly what you’re looking for. Do you have your own tiny house loft ideas? Let us know in the comments below! We’re doing something new this year. To give our friends a look at how a tiny house RV can be completely customized to meet your unique needs and dreams, we’re bringing our “Imagination Center” to the Puyallup RV Show. 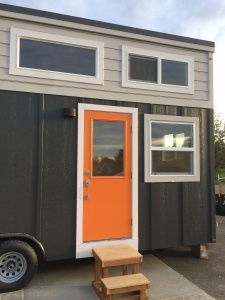 Step through the orange door to see how you can finish and personalize a custom tiny home RV. The Imagination Center is a nearly completed Alki model that features a day bed on the main floor, steps to a spacious loft, a full-size kitchen, and even a walk-in jetted tub! Loaded with special features, the Imagination Center will open your eyes to all the ways you can make a tiny home RV truly your own. For more information, visit http://puyalluprvshow.com/. We hope to see you soon at the Imagination Center! Just look for the orange door . . .
We’re way behind on blogging (hard to write when you’re building! ), but we wanted you to see a picture of the finished product. If you want to see it, it will be in the Seattle area on February 25 and later. Let us know if you’d like to make an appointment to see it. Just email us: info@seattletinyhomes.com. We’ll try to catch up later with some additional blog posts about how it was constructed. You’ve reached the Seattle Tiny Homes blog. Thanks for visiting. Here you’ll find updates on our current tiny home projects, including photos and videos. It’s a great place to learn more about how tiny homes are constructed and the benefits of tiny home living. Check back often for updates. You can also “like” us on Facebook or follow us on Twitter to stay in touch. Thanks!